The Sun’ll Come Out Tomorrow . . .
. . . and I hope to be outside in the garden because of it. Just mostly weeding, but it will be nice to be outside for a while. A lot of bulbs are poking up out of the ground already–I went around and Sluggo’d them yesterday, because they are prime food for the little ﻿﻿﻿﻿gastropod mollusks. 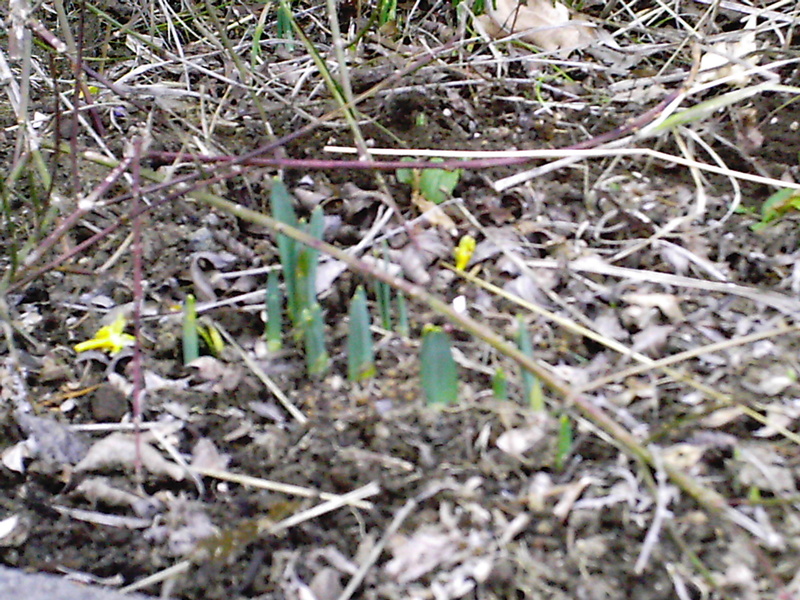 The snowdrops are also about to open, and the primroses are blooming away right now. All got chomped by slugs, and so they all got a dose of Sluggo yesterday. The birds, including the hummingbirds, have been having a great time at the bird feeders in recent days. The Chinese Witch Hazel, ‘Arnold Promise’ has buds that are swelling, so will have some flowers soon if the weather holds. I have a bit of mustard greens and arugula still holding on under plastic outside, but I’ve been busy and haven’t checked them out much lately, so that’s on my list for tomorrow as well. When February rolls around, the weather warms just enough that some of those tough salad edibles that have been languishing in the garden tend to spring back to life, so I am looking forward to that as well. Also, an addendum to my last post about Molasses in the Garden. I read an article in Organic Gardening Magazine that said that using molasses in compost tea is not safe to use around food plants, as it may spread salmonella and e.coli bacteria to them, so be warned. Fine for use around ornamental plants like flowers and shrubs, though, which is where I am going to use it. The winter jasmine is blooming away, especially when we get a few warm days in this bleak midwinter. It’s grey days like this when I dream about March and daylight savings time beginning on March 13th this year. It’s not far off–in the meantime, I need to get busy and look at seed catalogues and decide what to get. The Promise of Spring . . .What is your gardening promising you in this New Year? Leave me a comment and let me know!